Death Note story begins when Light Yagami finds a book that was owned by a Shinigami (death god) named Ryuk (Ryuku). Inside Ryuk's Death Note, there are ways to use the Death Note, written by himself. Death Note is then used to realize the ideals that is to create a clean new world of crime, with himself as god. Then he uses this Death Note to kill criminals. Getting data from television as well as criminals steal police data center (his father, Shoichiro Yagami is a cop). Apparently this action invites a variety of reactions, both from the public, Japanese officials, even from international officials. Most people agree with the cleaning action, but officials did not approve it because such action is contrary to human rights. Not only that the obstacles encountered by Raito (nicknamed KIRA, the name for the Killer in a Japanese dialect) to create a world that is clean, he must also contend with L It is known by the name Ryuzaki (L real name is L Lawliet). L is a detective international young professionals who just moved in behind the scenes. 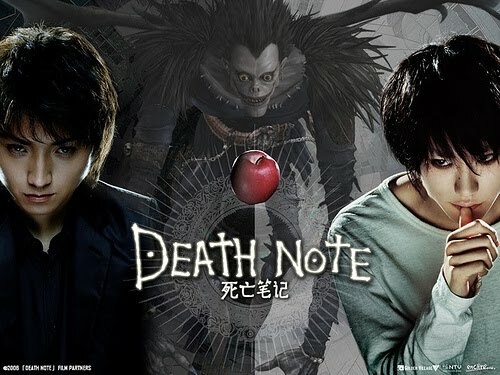 After meeting L Lawliet, the story "Death Note" became increasingly attractive (coupled with the advent of the Second Kira and so on, in the anime and manga version).